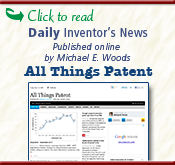 Drawing on his multidisciplinary background, patent lawyer Michael E. Woods translates the excitement of a new invention or innovation into a successful patent application. With his extensive network of trusted patent searchers, drafters and attorneys, he provides Bay Area inventors with the comprehensive services of a large firm without the associated bureaucracy and overhead. As YourPatentGuy, Michael guides you through the complex patent process performing any necessary U.S. searches and prosecuting patent applications including drafting, filing and examination/reexamination. His patent law services include claim evaluation, patent infringement, litigation support, design-around, and licensing as well as efficient portfolio development and management. 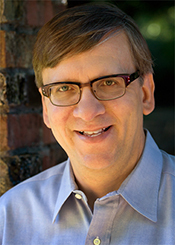 An inventor and technologist, Michael brings an insider’s perspective to your patent project.